Droichead is very excited about the upcoming exhibition ‘In tribute to the life of Teddy Doyle’ which will be opened on Wednesday the first of December from 8pm. The opening night will be a vibrant night full of entertainment, performance, music and of course… ART. The show will include some of his beautiful pieces as well as the works of 20 other artists based in the Drogheda area. Teddy Doyle trained at the National College of Art and Design in the 1950s and worked as a scenic artist for more than 30 years. 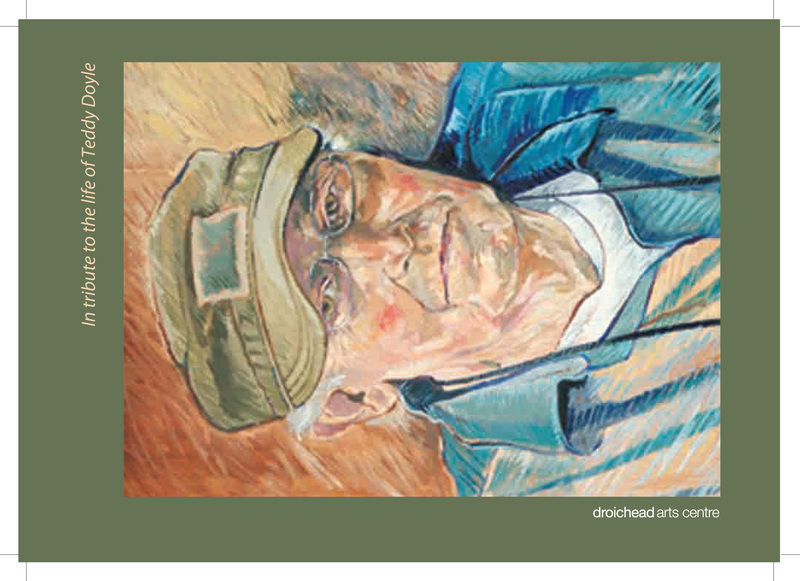 He was known around the town and beyond as a fantastic scenic painter, mastering water colours and always about on wonderful trips painting the scenery of the Boyne Valley, very often together with his great friend Liam O’Broin. It was as an artist that he is best known in this part of the world, but he was also active in the cultural world as a stage manager, an actor, a puppeteer. He worked on many major productions. His film credits include My Left Foot, which was made at Ardmore Studios in Wicklow. He stage-managed the Maureen Potter pantomimes from 1966-72 and he was also a fixture in Dublin’s Irish language theatre An Damer. Teddy was also an Executive Committee member of Irish Actors Equity and he formed the first union section to represent set designers. Teddy was also a master puppeteer who toured England with a marionette show for four years. There were many strings to his artistry. And these are only a few of the many things Teddy Doyle was involved in in the art and cultural scene of Ireland and beyond. We are looking forward to the exhibition and hope to welcome you as well. 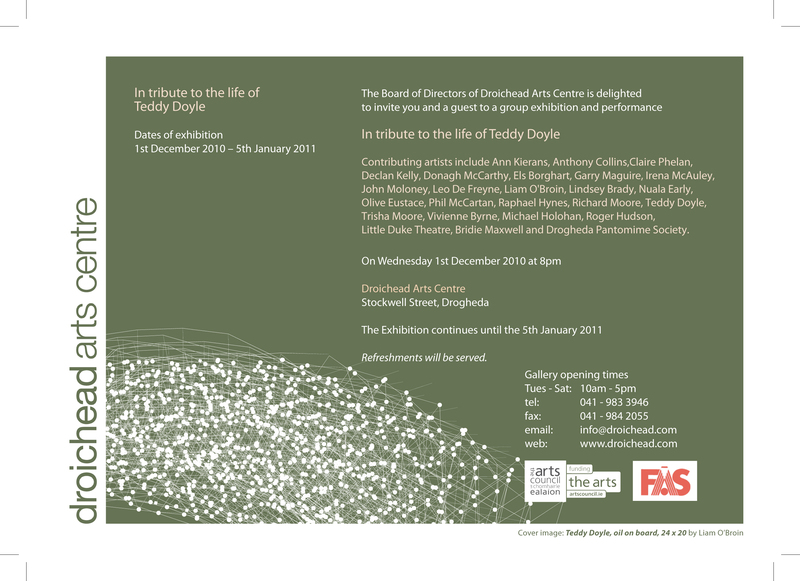 ‘In tribute to the life of Teddy Doyle’ is on from the 1st of December 2010 until the 5th of January 2011. This entry was posted on November 25, 2010 at 12:21 pm and is filed under Music, Performance, Visual Arts. You can follow any responses to this entry through the RSS 2.0 feed. You can leave a response, or trackback from your own site.